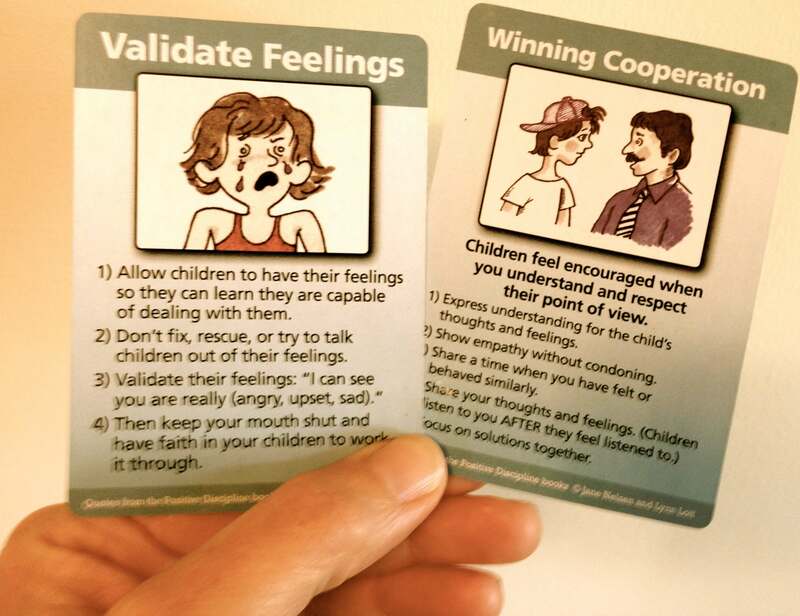 Susan has shared a really big step in understanding that expressed feelings don’t necessarily mean the parent will change their mind on what is needed – yet the parent, by validating the child’s feelings and their own 🙂 changes the outcome and strengthens the connection between them which gives them a better place to start the next time a conflict arises! Thank you Susan for having the courage to share the BEFORE ( AND THE AFTER!!!) It is an encouragement to the reader, who wonders how to use the toolcards in their “real” parenting!! Wise words from a wise woman… thanks Mary! !